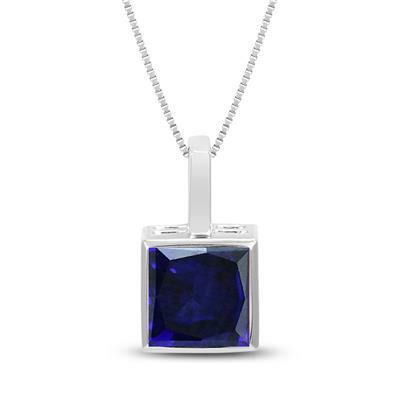 A very modern and stylish 7x7mm square princess cut created blue sapphire gemstone is bezel set on this quality setting crafted in .925 sterling silver. 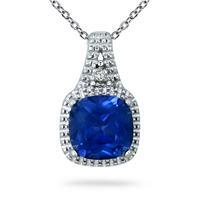 Simple, clean lines create a bold pendant with the highest level of workmanship and finishing. 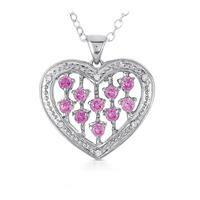 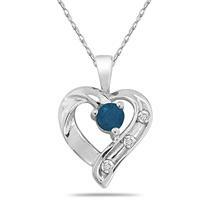 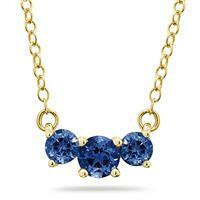 A beautiful piece sure to be treasured forever.